A former Free Church building in Sutherland is set for a new life as a retreat run by a psychotherapy clinic. Maurice Tomkinson currently runs the Hope Street Centre in Cheshire – and now hopes to expand his business into Stoer, near Lochinver. He has applied for planning permission to convert the former church building into a facility called The Sanctuary. He hopes to provide accommodation which would allow access to the “wilderness” of the surrounding area – while also offering courses and workshops in meditation, mindfulness and other areas. 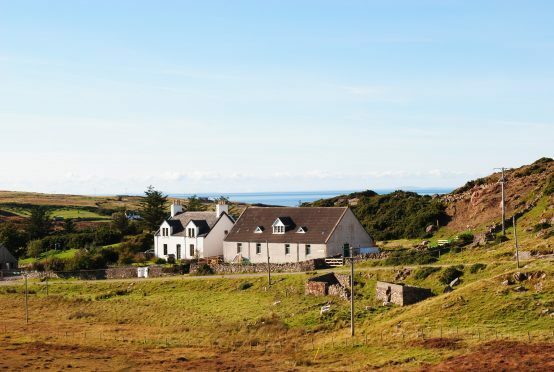 Mr Tomkinson, an accredited counsellor and psychotherapist, fell in love the area after staying in Stoer on a holiday in 2008 and has been considering ways of moving into the area ever since. He has now lodged plans to convert the former church building for its proposed new use. He said he did not see the facility being used to practise psychotherapy but instead said it could be beneficial to people who have come out the other side by providing access to the great outdoors. Courses will also be offered, particularly in the winter months, while accommodation will also be offered for passing tourists, particularly with the North Coast 500 route passing nearby. The church was bought with pews, pulpit and other church paraphernalia still in place. The pulpit will remain – but work has already begun to clear the interior ahead of work starting, subject to planning permission being granted. The church closed in 2013 and requires several repairs before it can be brought back into use. Mr Tomkinson said it is likely to be a lengthy process bringing the building back into use – and it will be well into next year before it is ready. He said: “My hope for The Sanctuary is that it will provide space for people from all walks of life to get into that environment, to be in a wild place and explore a new way of being. “A more balanced, thoughtful existence that is in keeping with the natural order of things. “I’m humbled by the number of people who have already supported me in this project, through practical help, providing contacts and information, and offering their good wishes.